Take a triangular grid consisting of 64 equilateral triangular cells in the shape of a larger triangle, and remove a single triangle at one of the tips. Can you tile this shape with 21 trapezoidal tiles, each consisting of three little triangles? The answer is yes, and it is not so hard to find a solution. 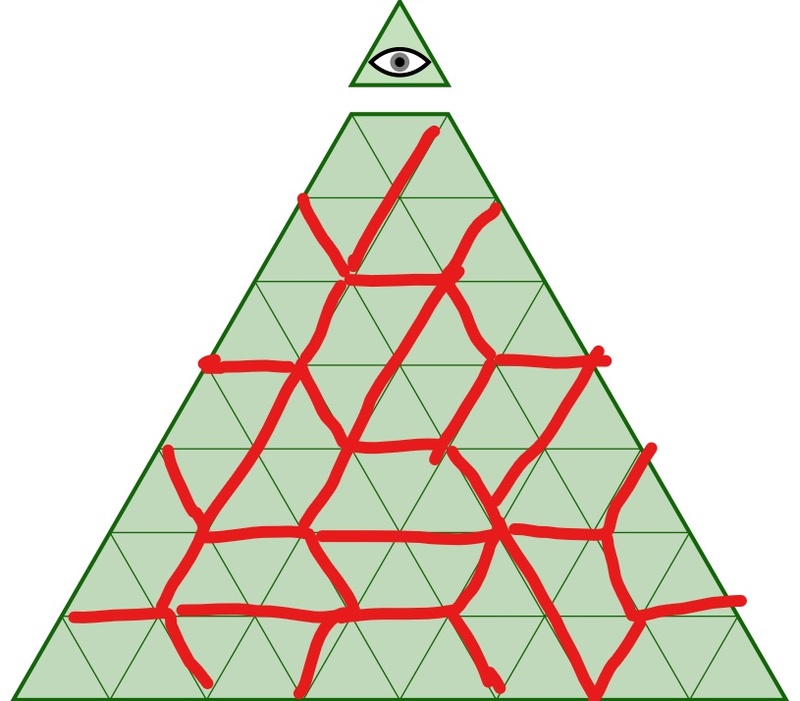 However, what if you impose the additional rule that no three trapezoids in the tiling can form a triangle with side length 3? Both the upward pointing and downward pointing variations of the sub-triangle are prohibited. If the answer is yes, exhibit a tiling. If the answer is no, prove it. I see the answer is found already, still I have a simpler one to present. 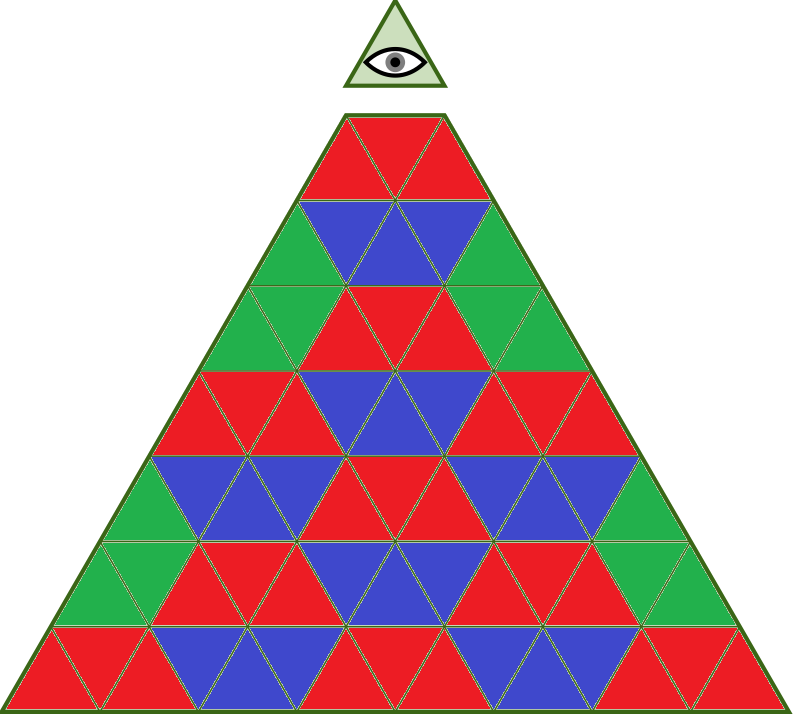 A 'special triangle' contains at least two trapezoids of 'diagonal' direction (green here). Here all diagonal triangles are far apart, so you don't have to look for errors. Not the answer you're looking for? Browse other questions tagged combinatorics tiling or ask your own question.